There is a very select club of artists who have truly outgrown the reputation that they had gained as a member of the successful group in which they made their name. Robert Plant, Peter Gabriel, Lionel Richie and Phil Collins are all in there; Sting, the former Gordon Sumner, is certainly one of the founding members. His effortless musicianship, desire to experiment and willingness to go beyond what has been expected of him have made him one of the perennially interesting and inventive artists working both in and outside of popular music: as an actor, author, artist and raconteur. Sting has built a solo career with a very varied musical style, incorporating jazz, reggae, New Age, and even classical influences into his music. As a solo musician and member of The Police, Sting has earned 16 Grammy Awards for his work. He won his first Grammy with The Police for Best Rock Instrumental Performance in 1981, three Brit Awards - winning Best British Male in 1994, a Golden Globe, an Emmy Award, and several Oscar nominations for Best Original Song. The boy from North Tyneside done good! Born Gordon Matthew Thomas Sumner in Wallsend, North Tyneside in October 1951, he was the eldest of four children. After receiving his first guitar at the age of 10, he learned to play and became infatuated with popular music. While studying, he would go to nightclubs and watch popular music, especially as Newcastle was a stop on most artists' national tours. But he knew he had to move on. "I always wanted to get out," he told Q magazine in 1987. "I always thought the environment was restricting. They built a ship every year and we'd all go to the launching, looking at this thing drifting off into the world and never coming back to port again. For me it became a symbol of escape." Escape he would. He qualified as a teacher and worked for a couple of years at St Paul's First School in Cramlington, north of Newcastle. Sumner worked as a jazz musician in the group Last Exit while teaching. While playing in the Phoenix Jazzman, fellow member Gordon Solomon christened him Sting as he wore a stripy sweater that made him resemble a bee. Like honey, the name stuck. Relocating to London in 1977, he joined Stewart Copeland and Henry Padovani in new wave ensemble, The Police, who were signed to Copeland's brother Miles' Illegal label. What happened next is very well documented. Industry veteran, guitarist Andy Summers, joined soon after - replacing Padovani. After securing their first UK No. 1 'Message In A Bottle', the group became one of the biggest phenomenon in pop music for over a decade, selling millions of albums, garnering six Grammys and headlining New York's fabled Shea Stadium, played previously by the Beatles. Although their break up was never formally announced, Sting began to work outside the group as early as 1982, contributing his version of the 1929 Vivian Ellis standard 'Spread A Little Happiness' to his performance in the film Brimstone And Treacle. In 1985, however, he struck out and released his first solo album, the elegant and accomplished triple-platinum-selling The Dream Of The Blue Turtles. Working with high calibre performers from the world of jazz, such as Omar Hakim and Branford Marsalis, the lead single, 'If You Love Someone Set Them Free', demonstrated that he had lost none of the tuneful edge he had acquired during his years with the Police, but had added a sophisticated edge. It showed that he could comfortably stand outside his former group. He also contributed a vocal to one of the UK's biggest-selling albums of all time the same year when he adapted the melody of the Police hit 'Don't Stand So Close To Me' for Dire Straits' world-wide success 'Money For Nothing' from their Brothers In Arms album, a song he also sang with them at Live Aid, where he also performed solo, in July 1985. The Michael Apted-directed documentary and live album from The Dream Of The Blue Turtles' resultant tour, Bring On The Night, was released in July 1986. It showed Sting freewheeling, away from the pressure and expectations of having to behave like the rock superstar he had become. Superb versions of Police standards like 'Bring On The Night' segued into 'When The World Is Running Down You Make The Best Of What's Still Around' sat effortlessly beside material from his debut album and new works played on the tour. 1986 saw The Police come together for the final time for 20 years - they recorded a new version of 'Don't Stand So Close To Me' for their Every Breath You Take: The Singles album that year and played a handful of shows together in North America, but anything more permanent was not to be. 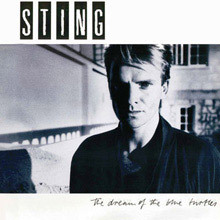 Inspired by the critical and commercial success of The Dream Of The Blue Turtles, Sting released his next work, a double album. Dedicated to his mother who had recently died - Nothing Like The Sun, its title taken from Shakespeare's sonnets, painted him as an English romantic at large in a modern world. Released in October 1987, it was a bold, expansive album, which saw him working with ex-Police guitarist Andy Summers as well as Eric Clapton, Mark Knopfler and legendary arranger and composer Gil Evans. It contained the fabulous tribute to Quentin Crisp, 'An Englishman In New York', 'They Dance Alone', dedicated to the Chilean 'mothers of the disappeared', and the touching 'Fragile', which was dedicated to the American civil engineer Ben Linder, who was killed by Contra rebels in Nicaragua. Sting recorded Spanish and Portuguese versions of this song, soon to become one of his standards. A separate version of the album was released for Portugal, â€¦ Nada Como El Sol, which demonstrated how in tune with his larger world audience he was. He was clearly comfortable with the way his career was going, as he said to Q, "If it pleases me, that's enough. When an album sells millions of copies, I like that! I can tell you, it's a wonderful feeling. It confirms that the effort you've put into it has worked. But that doesn't mean to say that I have to compromise the material in order to do that, just as I don't compromise myself in my appearance." 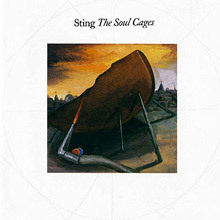 In 1991, Sting released The Soul Cages, a bleaker, introspective album, dedicated this time to his father who had recently died, featuring the huge hit 'All This Time'. Soon after The Soul Cages, Sting joined an illustrious group of people, such as Vivian Stanshall, David Bowie, John Gielgud and Boris Karloff , who had all previously narrated Prokofiev's Peter And The Wolf. Sting's version, released on the prestigious Deutsche Grammophon label, was recorded with The Chamber Orchestra of Europe, conducted by Claudio Abbado. 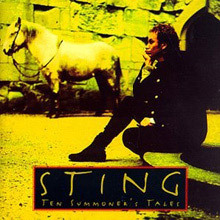 However, it was his 1993 album, Ten Summoner's Tales where, for many, it all snapped into focus. Buoyed by his recent marriage to actress Trudie Styler, Sting wrote some of the very best songs of his career, including the rapturous 'If You Love Someone Set Them Free' and the touching, reflective, 'Fields Of Gold'. Sting also gained his only US No. 1 to date with the swaggering ballad, 'All For Love', sung with Rod Stewart and Bryan Adams from the 1993 Walt Disney film, The Three Musketeers. An interesting curio from this period was the release of his Demolition Man EP, which featured a re-recording of his Police song from Ghost In The Machine, made for the futuristic Hollywood movie of the same name, featuring Sylvester Stallone. To demonstrate his versatility, in May 1995 Sting collaborated with Steve Wood for the soundtrack to the IMAX film, The Living Sea, a superb survey of the world's oceans, narrated by Meryl Streep. Ahead of Sting's 1996 album, Mercury Falling, he told Sylvie Simmons of Mojo "If there's a theme on this record, it's more one of acceptance about things that can't be changed. Not one thing in particular, it's just that in the past - in my young life I tended to fight against everything, struggle against the whole of life. I suppose it's just getting older. I'm not having a mid-life crisis or anything, but I certainly am in mid-life, and happy to be in mid-life. Making this album was a very relaxed experience." It was a mature, polished work that contained the hit singles 'You Still Touch Me' and 'I'm So Happy I Can't Stop From Crying'. Sting's 1999 release, Brand New Day, proved to be one of his most popular, selling over eight million copies world wide. The atmospheric, sensual single 'Desert Rose' led the album, a duet with Cheb Mami, a leading exponent of rai - a form of Algerian folk music. The accompanying tour saw Sting play several hundred shows in 45 different countries. By now, Sting was fully reconciled with his Police catalogue, and his shows would comfortably cross his entire career. After the release of his hugely successful Sacred Love album in 2003, Sting took time to consider his next steps. What happened next was a stylistic leap forward and a nostalgic leap back. Songs From The Labyrinth in October 2006 marked the furthest that Sting had moved away from the mainstream. Released on the prestigious classical label Deutsche Grammophon once more, it featured Sting playing lute with classical musicians, recording the songs of Elizabethan Composer John Dowland. Although it was unlikely to match his previous commercial success, for Sting, it was a personal triumph. And then, at the opposite end of the spectrum, The Police reformed. In 2007, the time felt right for Summers, Sting and Copeland to reunite and they performed a series of victorious reunion concerts across the globe. Symphonicities in July 2010 saw him taking his catalogue into the studio and on the road with the Royal Philharmonic Concert Orchestra, reinterpreting his work as symphonic orchestral pieces. A live capture of the tour, Live In Berlin, was released in November of that year. With a career as long as his, it is little wonder that he has been compiled so often: Fields Of Gold: Best Of Sting 1984-1994 offers a great overview of his first decade as a solo artist, while The Very Best of Sting and the Police is entirely self explanatory: 18 tracks of the very best from all of his career. The Best Of 25 Years is his most comprehensive solo collection. Sting has constantly confounded his critics and delighted his fans. His body of work is mature, thoughtful and frequently joyous, creating unmistakable, thoughtful pop singles, combined with deeper, brooding, experimental work that begs discovery. By the late '90s, Sting had reached a point where he didn't have to prove his worth every time out; he had so ingrained himself in pop culture, he really had the freedom to do whatever he wanted. He had that attitude on Mercury Falling, but it was too somber and serious, everything that its successor, Brand New Day, is not. Light, even effervescent, Brand New Day feels like little else in Sting's catalog. Not that it represents a new beginning, contrary to what the title may promise. The album is not only firmly within his tradition, it sounds out of time -- it's odd how close Brand New Day comes to feeling like a sequel to Nothing Like the Sun. Musically, that is. The sparkling, meticulous production and the very tone of the music -- ranging from light funk to mellow ballads to the Lyle Lovett tribute "Fill Her Up" -- are of a piece with Sting's late-'80s work. That's the main thing separating it from Ten Summoner's Tales, his other straight pop album -- well, that, and the levity. There are no overarching themes, no political messages on Brand New Day -- only love songs, story songs, and, for lack of a better term, inspirational exhortations. This is all a good thing, since by keeping things light he's managed to craft an appealing, engaging record. It may not ask as much from its audience as Sting's other '90s efforts, but it's immediately enjoyable, which isn't the case for its cousins. 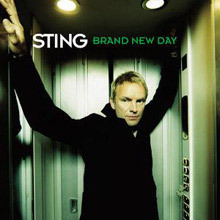 Brand New Day doesn't boast any new classics, and it does sound a little dated, but it's well-crafted, melodic, and has a good sense of humor -- exactly the kind of record Sting should be making as he embarks on the third decade of his career. 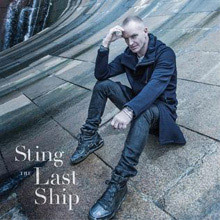 The Last Ship is the eleventh studio album by English musician Sting, released on 24 September 2013. It is his first full-length LP of original material since 2003’s album Sacred Love. 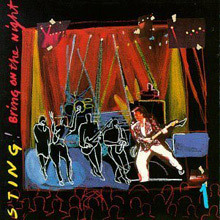 The album is inspired by Sting’s forthcoming play of the same name, scheduled to debut on Broadway in 2014. It will explore the themes of homecoming and self-discovery, drawing upon Sting’s memories of growing up, and reminiscencing universal truths – the complexity of relationships, the passage of time and the importance of family and community. The Police never really broke up, they just stopped working together -- largely because they just couldn't stand playing together anymore and partially because Sting was itching to establish himself as a serious musician/songwriter on his own terms. Anxious to shed the mantle of pop star, he camped out at Eddy Grant's studio, picked up the guitar, and raided Wynton Marsalis' band for his new combo -- thereby instantly consigning his solo debut, The Dream of the Blue Turtles, to the critical shorthand of Sting's jazz record. Which is partially true (that's probably the best name for the meandering instrumental title track), but that gives the impression that this is really risky music, when he did, after all, rely on musicians who, at that stage, were revivalists just developing their own style, and then had them jam on mock-jazz grooves -- or, in the case of Branford Marsalis, layer soprano sax lines on top of pop songs. This, however, is just the beginning of the pretensions layered throughout The Dream of the Blue Turtles. Only twice does he delve into straightforward love songs -- the lovely measured "Consider Me Gone" and the mournful closer, "Fortress Around Your Heart" -- preferring to consider love in the abstract ("If You Love Somebody Set Them Free," one of his greatest solo singles, and the childish, faux-reggae singalong "Love Is the Seventh Wave"), write about children in war and in coal mines, revive a Police tune about heroin, ponder whether "Russians love their children too," and wander the streets of New Orleans as the vampire Lestat. This is a serious-minded album, but it's undercut by its very approach -- the glossy fusion that coats the entire album, the occasional grabs at worldbeat, and studious lyrics seem less pretentious largely because they're overshadowed by such bewilderingly showy moves as adapting Prokofiev for "Russians" and calling upon Anne Rice for inspiration. And that's the problem with the record: with every measure, every verse, Sting cries out for the respect of a composer, not a pop star, and it gets to be a little overwhelming when taken as a whole. As a handful of individual cuts -- "Fortress," "Consider Me Gone," "If You Love Somebody," "Children's Crusade" -- he proves that he's subtler and craftier than his peers, but only when he reins in his desire to show the class how much he's learned. Sting really got carried away with the idea that his supporting crew for Dream of the Blue Turtles was a real jazz band. He plucked them straight out of Wynton Marsalis' backing band (thereby angering Wynton and emboldening his anti-rock stance, while flaring up a sibling rivalry between the trumpeter and his saxophonist brother Branford -- a veritable hat trick, that), and since he was initially a jazz bassist, it seemed like a good fit. At the very least, it seemed like a monumental occasion because he documented the entire development of the band and making of Dream with a documentary called Bring On the Night, releasing a double live album as its soundtrack just a year after the debut hit the stores. Arriving as a second solo album, it can't help but feel a little unnecessary, even if the loose, rather infectious performances show what Sting was trying to achieve with his debut. Even so, this is a record for the cult and will satisfy them. 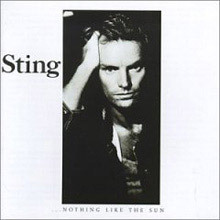 If Dream of the Blue Turtles was an unabashedly pretentious affair, it looks positively lighthearted in comparison to Sting's sophomore effort, Nothing Like the Sun, one of the most doggedly serious pop albums ever recorded. This is an album where the only up-tempo track, the only trifle -- the cheerfully stiff white-funk "We'll Be Together" -- was added at the insistence of the label because they believed there wasn't a cut on the record that could be pulled as a single, one that would break down the doors to mainstream radio. And they were right, since everything else here is too measured, calm, and deliberately subtle to be immediate (including the intentional throwaway, "Rock Steady"). So, why is it a better album than its predecessor? Because Sting doesn't seem to be trying so hard. It flows naturally, largely because this isn't trying to explicitly be a jazz-rock record (thank the presence of a new rhythm section of Sting and drummer Manu Katche for that) and because the melodies are insinuating, slowly working their way into memory, while the entire record plays like a mood piece -- playing equally well as background music or as intensive, serious listening. Sting's words can still grate -- the stifling pompousness of "History Will Teach Us Nothing" the clearest example, yet calls of "Hey Mr. Pinochet" also strike an uneasy chord -- but his lyricism shines on "The Lazarus Heart," "Be Still My Beating Heart," "They Dance Alone," and "Fragile," a quartet of his very finest songs. If Nothing Like the Sun runs a little too long, with only his Gil Evans-assisted cover of "Little Wing" standing out in the final quarter, it still maintains its tone until the end and, since it's buoyed by those previously mentioned stunners, it's one of his better albums. This is Sting’s 7th studio album of his solo career released on 29 September 2003. The album featured smoother, R&B-style beats and experiments collaborating with hip-hop artist Mary J. Blige and sitar player Anoushka Shankar. Stand-out tracks include, ‘Inside’ and ‘Dead Man's Rope’ as well as the rock-influenced ‘This War’. Sting adapted the first quatrain of William Blake's Auguries of Innocence for the first four sung lines of "Send Your Love". The collaboration with Blige, "Whenever I Say Your Name", won the Grammy Award for Best Pop Collaboration with Vocals at the 46th Grammy Awards in 2004. 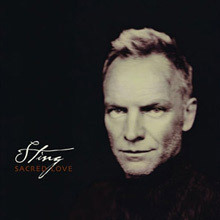 Emboldened by the enthusiastic response to the muted Nothing Like the Sun and reeling from the loss of his parents, Sting constructed The Soul Cages as a hushed mediation on mortality, loss, grief, and father/son relationships (the album is dedicated, in part, to his father; its predecessor was dedicated to his mother). Using the same basic band as Nothing Like the Sun, the album has the same supple, luxurious tone, stretching out leisurely over nine tracks, almost all of them layered mid-tempo tunes (the exception being grinding guitars of the title track). Within this setting, Sting hits a few remarkable peaks, such as the elegant waltz "Mad About You" and "All This Time," a deceptively skipping pop tune that hides a moving tribute to his father. If the entirety of The Soul Cages was as nimbly melodic and urgently emotional as these two cuts, it would have been a quiet masterpiece. Instead, it turns inward -- not just lyrically, but musically -- and plays as a diary entry, perhaps interesting to those willing to spend hours immersing themselves within Sting's loss, finding parallels within their own life. This may be too much effort for anyone outside of the devoted, since apart from those two singles (and perhaps "Why Should I Cry for You"), there are few entry points into The Soul Cages -- and, once you get in there, it only rewards if your emotional state mirrors Sting's. 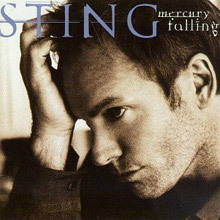 Falling somewhere between the pop sensibilities of Ten Summoner's Tales and the searching ambition of The Soul Cages, Mercury Falling is one of Sting's tighter records, even if it fails to compel as much as his previous solo albums. Though he doesn't flaunt his jazz aspirations as he did in the mid-'80s, Mercury Falling feels more serious than The Dream of the Blue Turtles, primarily because of its reserved, high-class production and execution. Building from surprisingly simple, memorable melodies, Sting creates multi-layered, vaguely soul-influenced arrangements that carry all of the hallmarks of someone who has studied music, not lived it. Of course, there are many pleasures in the record -- for all of his pretensions, Sting remains an engaging melodicist, as well as a clever lyricist. There just happens to be a distinct lack of energy, stemming from the suffocating layers of synthesizers. Mercury Falling is a record of modest pleasures; it's just not an infectious, compulsive listen. After two albums of muted, mature jazz-inflected pop, the last being an explicit album about death, Sting created his first unapologetically pop album since the Police with Ten Summoner's Tales. The title, a rather awkward pun on his given last name, is significant, since it emphasizes that this album is a collection of songs, without any musical conceits or lyrical concepts tying it together. And, frankly, that's a bit of a relief after the oppressively somber The Soul Cages and the hushed though lovely, Nothing Like the Sun. Sting even loosens up enough to crack jokes, both clever (the winking litany of celebrity pains of "Epilogue ") and condescending (the sneeringly catchy cowboy tale "Love Is Stronger Than Justice "), and the result is his best solo record. In places, it's easily as pretentious as his earlier work, but that's undercut by writing that hasn't been this sharp and melodic since the Police, plus his most varied set of songs since Synchronicity. True, there isn't a preponderance of flat-out classics -- only the surging opener "If I Ever Lose My Faith in You," the understated swing of "It's Probably Me," and the peaceful ballad "Fields of Gold" rank as classics -- but, as an album, Ten Summoner's Tales is more consistently satisfying than anything else in his catalog. 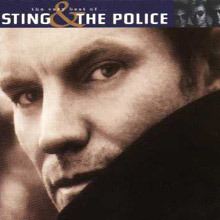 Essential collection covering the incredible career of Sting, both solo and with his band, The Police.